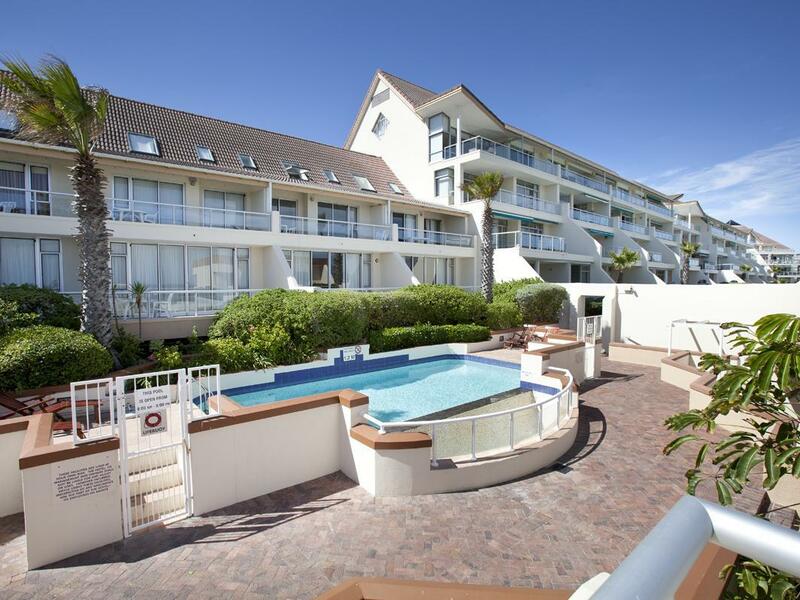 ﻿ Dolphin Beach Hotel Cape Town. JIMAT di Agoda.com! Ada soalan mengenai Dolphin Beach Hotel? Dengan lokasi mudah di Cape Town, Dolphin Beach Hotel adalah tempat yang hebat untuk menjelajahi bandar yang menarik ini. Hanya sejauh 20 km, hotel 4-bintang ini boleh diakses dengan mudah dari lapangan terbang. Hotel moden ini berada di sekitar kawasan tarikan bandar yang popular seperti Netcare Blaauwberg, Killarney Raceway, Bloubergstrand. Ambil kesempatan daripada pelbagai perkhidmatan dan kemudahan yang tiada tandingan di hotel Cape Town ini. Hotel ini menyediakan akses kepada pelbagai perkhidmatan yang luas, termasuklah Wi-Fi percuma semua bilik, pengawal keselamatan 24 jam, pengemasan harian, dapur, meja depan 24 jam. Masuklah ke salah satu dari 40 bilik tetamu kami dan tenangkan hati anda dengan pelbagai kemudahan seperti televisyen skrin rata, karpet, ruang tamu asing, internet wayarles, internet wayarles (percuma) yang boleh didapati di beberapa bilik terpilih. Kemudahan rekreasi hotel, yang termasuk seperti pantai peribadi, padang golf (dalam jarak 3 km) , kolam renang terbuka, taman, sukan air (tidak bermotor) direka untuk anda melarikan diri dari masalah dan bersantai. Nikmati perkhidmatan yang sukar ditandingi dan lokasi benar-benar berprestij di Dolphin Beach Hotel. Furniture and bathrooms are dated, however, rates are reasonable and include breakfast. Staff are very helpful. I loved the room I got. It was spacious and clean. I had an excellent view of the beach and Cape Town/table mountain as well as Roben island. The only negative I can point out was the poor warm breakfast served. It seriously needs a lot of improvement. Basically, nothing was eatable. Bacon looked liked it had been recycled/rewarmed a couple of times. A visit to Cape Town area is not complete without a stay at this hotel. It was our third visit and we only wished we could have stayed longer. Location is perfect and close to lots of local amenities - and only a 30-40 minute drive from the airport. Rooms had a musty smell.. breakfast food choices were limited...bathroom door was broken...no water in the room no toiletries..soap shampoos, etc. Awesome location; old, run down property. Badly managed. We stayed for 4 nights, although weather was cold but we enjoyed. You need to have a car to stay here otherwise you will be spending tons of money on taxi cabs. We enjoyed our spacious suite. Breakfast was great and restaurant is A1. I like staying at dolphin Beach but this time I was very dissapointed in the state of disrepair. The bathroom was kept together with silicon sealer and there was mold growing in the grouting. The outside decking is falling apart with pit falls in two spots. Breakfast good. Have a really good view of table moutain. Nice place with beautiful views of the ocean. Thanks to the management and staff for being friendly and willing to help. Generally our stay was as good as the previous visit. However,two jarring examples of poor service were:- 1)The first room offered to us at arrival was a suite as ordered, but with the bedroom locked off. In essence it was a bedroom/lounge/kitchen ,all in one space. We found that the bedroom attached to this was under repair! If we had not been to the resort previously we quite possibly could have accepted this as the standard and be none the wiser, as the receptionist who showed us the room made no mention of the "changes". After a lot of complaining, we were eventually moved, a day later, to the correct type of suite as booked. 2)A small but important service breakdown, was the removal of soiled towels without their replacements being put in place at the same time.My wife took to secreting a hand-towel away every day so to be able to wash our hands whilst waiting for the clean items. ......both of the above are quite minor, but do colour our memory of the hotel in a negative manner.